The storm leash is very versatile and makes your outing enjoyable and safe. 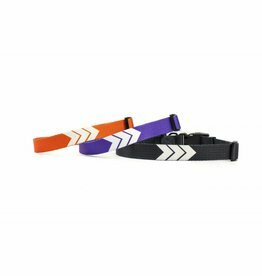 It is equipped with 5 reflective strips so that you remain seeing the banding strolls at dusk. 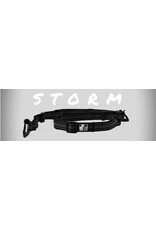 The storm leash is perfect fortraining sessions with pooch. 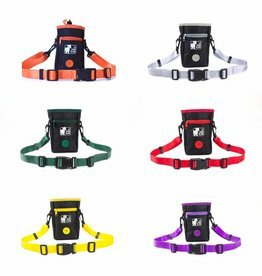 When attached to the waist, you have both hands free to reward the good behavior of your dog. 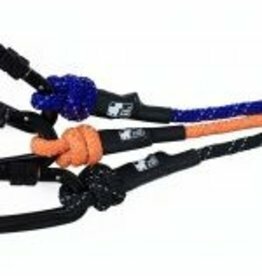 It also has short handles at both ends and two lockable carabiners. 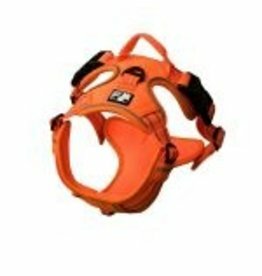 It can thus be used to attach two dogs at a time. You can also hang your keys and other items on the ring arranged for this purpose. It's the perfect leash you've been waiting for. Proudly assembled in Quebec and thought to be practical, by people here.